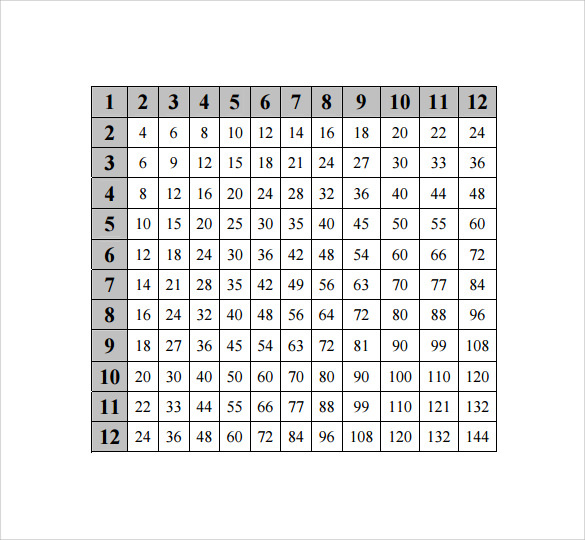 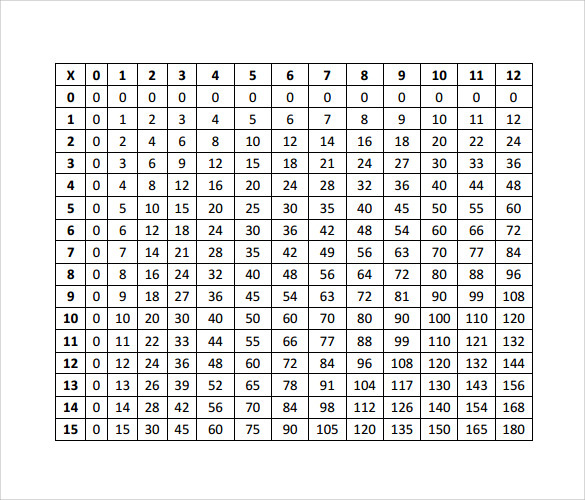 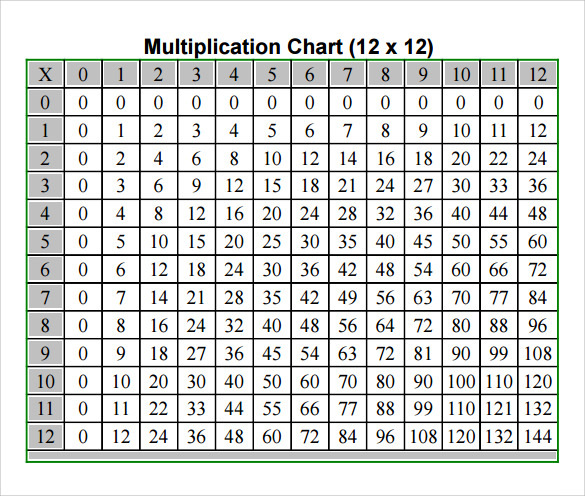 Multiplication Chart is always important chart for students learning preliminary mathematics in schools. 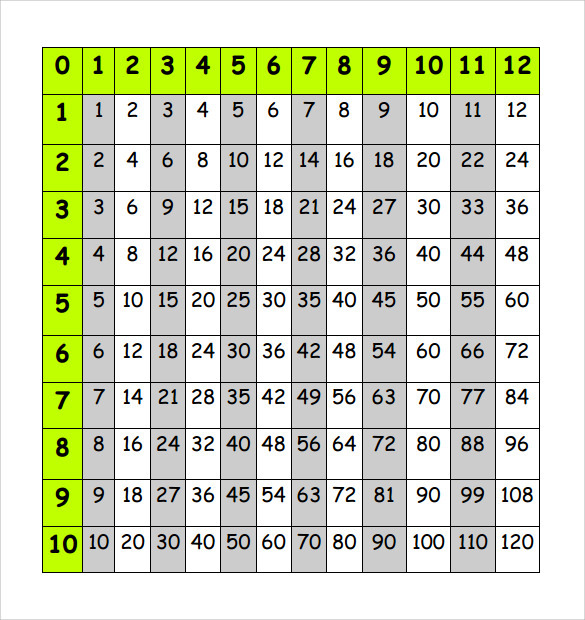 It is really hard to remember multiplication of different numbers, especially numbers more than 10. 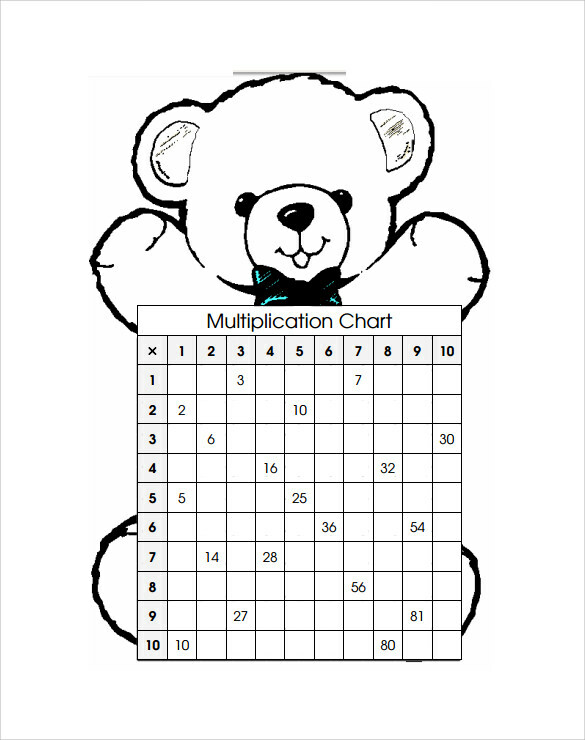 In this situation, multiplication Blank Chart Templates is found very handy. 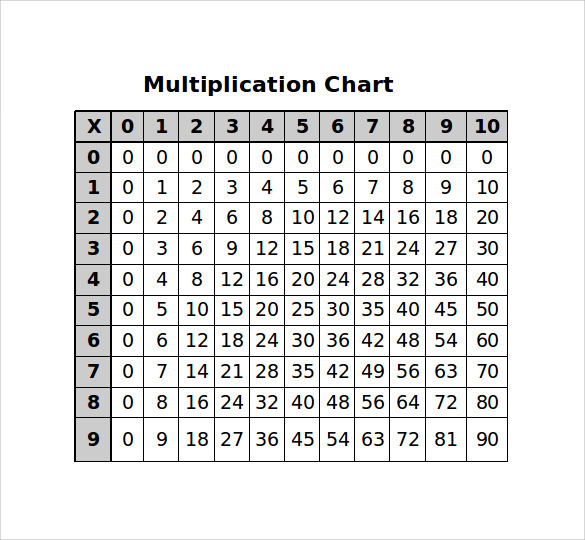 Most of the charts contain numbers up to 20, but a few may show multiplications of higher than 20 also. 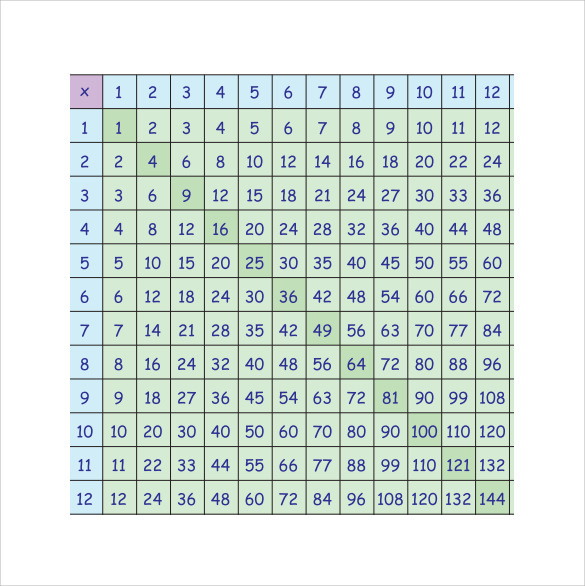 Equal numbers are written on vertical and horizontal margins, and then the multiplication value is spotted at the cross section of the two numbers. 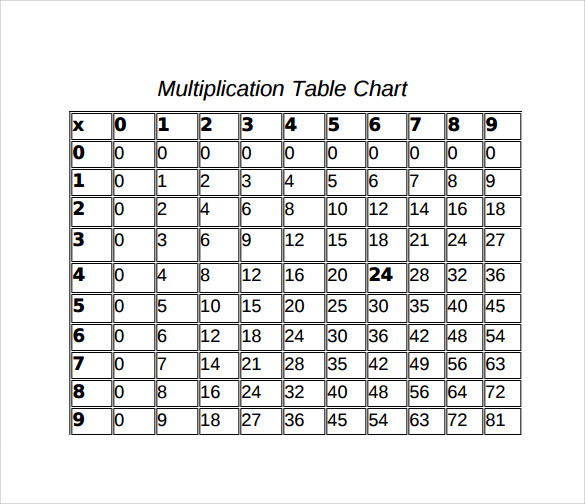 Multiplication table is also used by other people who need to calculate the prices of the products at the shops.